The death occurred, suddenly, at his home, on Monday, March 25 of Tommy Cronogue, Parnell Row, Granard, Longford. Predeceased by his wife Maureen. Sadly missed and remembered by his loving daughters Jane, Maureen and Siobhan, son Thomas, sons-in-law Brian and Tom, Siobhan’s partner Paddy, Thomas’s partner Ruth, his grandchildren David, Thomas, Niamh, Shane and Laura, great-grandchildren Maebh and Tommy, sisters Bella Coyle and Kathleen Murphy, nieces, nephews, relatives, friends and neighbours. May He Rest In Peace. Reposing at Smith's Funeral Home, Barrack Street, Granard on Wednesday, March 27 from 4.30pm to 6.30pm followed by removal to St Mary’s Church, Granard arriving at 7.30pm. Funeral Mass on Thursday, March 28 at 11am followed by burial in Granardkille Cemetery. The death occurred, peacefully, in Liverpool, on Tuesday, March 19 of Peter Clyne, Liverpool and formerly of Monascallen, Moydow, Longford. Predeceased by his parents John and Mary and his brothers Tom and Frank. He will be sadly missed and remembered with love by his family, brothers Bill and Barney, nieces, nephews, extended family, relatives and friends. May he rest in peace. Reposing at Glennon’s Funeral Home, Ballinalee Road on Friday, March 29 from 5pm concluding with prayers at 7pm. Removal to arrive at St Mary’s Church, Moydow for Mass of the Resurrection at 11am on Saturday, March 30, interment afterwards in Moydow Cemetery. The death occurred, suddenly, at her home, on Wednesday, March 6 of Brigid (Bridie) Holland (née McNerney), North London, England and formerly Camagh, Abbeylara, Longford. Deeply regretted by her daughter Linda, sons Mark and Alan her six grandchildren, Ethan Holland, Alisha Redgwell, Charlotte Holland, Kade Holland, and Ella-Rose Redgwell and all her friends and neighbours both in England and Ireland. May she Rest in Peace. Reposing at Smith’s Funeral Home, Barrack Street, Granard, Co Longford on Tuesday, March 26 from 7pm-8pm. Removal on Wednesday morning, March 27 to St Bernard’s Church, Abbeylara for Funeral Mass at 11am followed by burial in Carra Cemetery. The death occurred on Monday, March 25 of Eileen Dolan (nee Smith), Cloonslanor, Strokestown, Roscommon and formerly of Irishtown, Athlone, Westmeath, after a short illness. Predeceased by her parents Jack and Elisabeth, sisters Vera and Ann. Loving wife of John P and much loved mother of Dermot, Allen, Johnny and Kevin J. 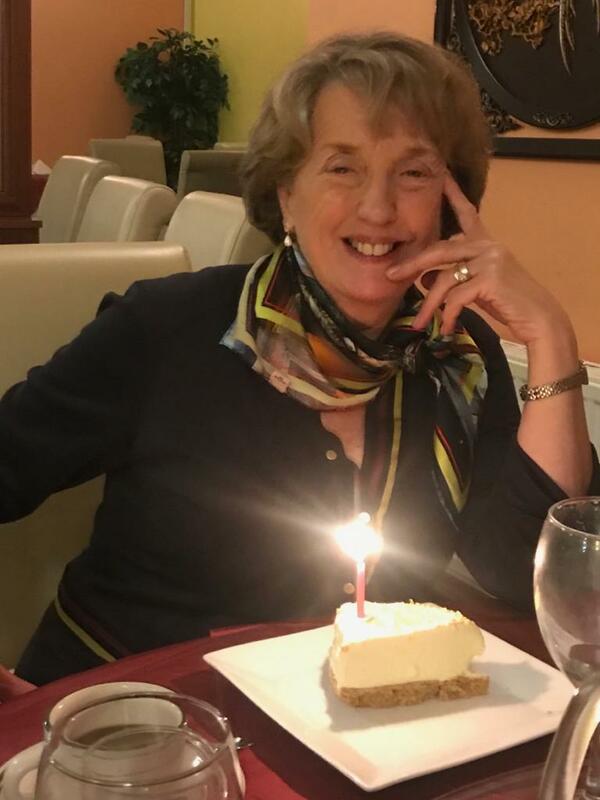 She will be sadly missed by her loving husband, sons, daughters-in-law Róisín, Julie, Kerry and Johnny's fiancée Cathy, her nine adoring grandchildren, brothers Jimmy and Johnny, nephews, nieces, brother-in-law, sisters-in-law, relatives, neighbours and many friends. Rest In Peace. Reposing at her home in Cloonslanor (F42Y263) on Wednesday, March 27 from 3pm until 8pm. Removal to Strokestown Parish Church on Thursday, March 28 to arrive for Funeral Mass at 11.30am. Burial afterwards in the local cemetery.